My family loves Italian food, though neither my husband or I are Italian. 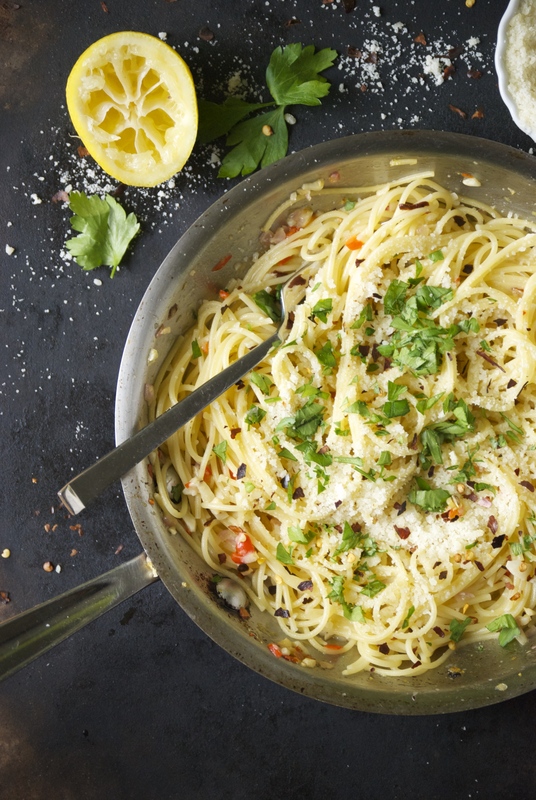 If we’re celebrating a special occasion, there’s a good chance we’ll be making pasta. 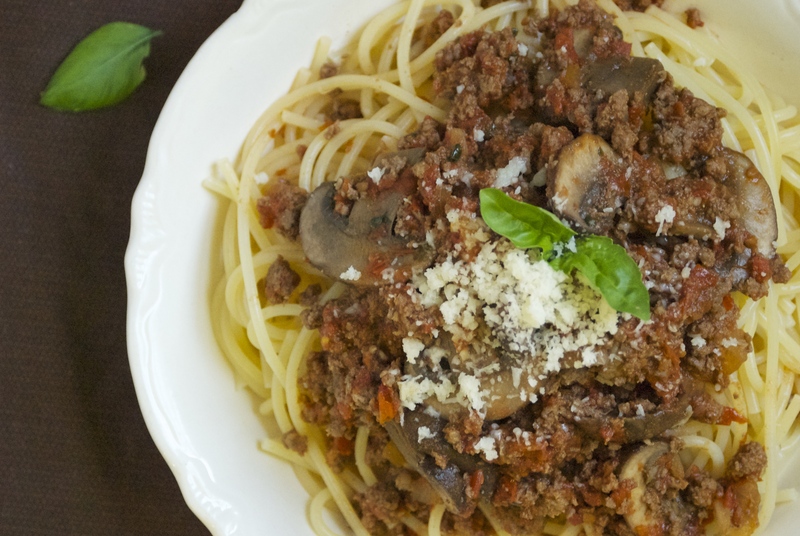 For years we relied on dry, packaged pasta for spaghetti, lasagna, and seafood dishes. My husband bought a pasta maker some time ago, and while we were first a bit indimidated by the work involved in making fresh pasta, now we’re hooked. Rather than look at it as extra time and effort, we separate out the tasks and make it a family affair: I prepare the dough and the sauce, while my husband and four-and-a-half year old son crank out the noodles. My two-year-old daughter provides moral support– or more accurately does her best to disrupt the process. My hope is that the group effort makes nice “food” memories for my family and that they’ll always remember our time in the kitchen. 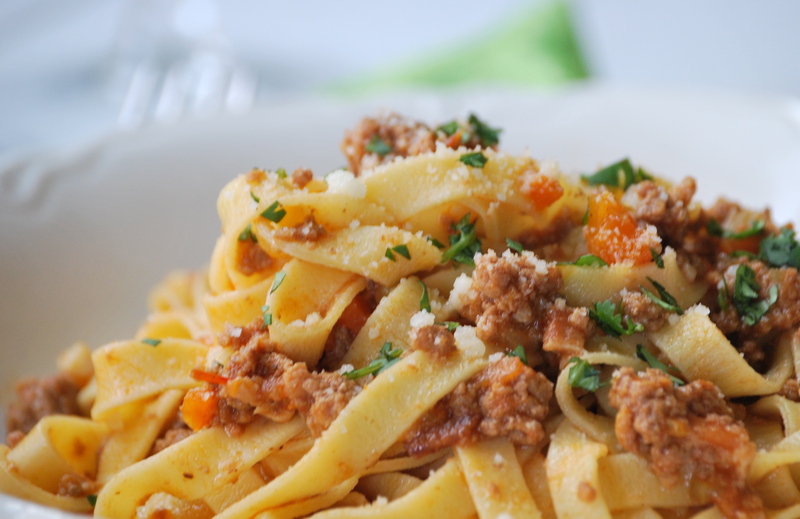 The pasta recipe here comes from one of the queens of Italian cuisine, Lidia Bastianich. The pasta is silky, beautifully firm, and has that genuine “toothiness” when you bite into it. If you’ve never had fresh pasta, you’re missing out as the texture is so different from boxed dry noodles. 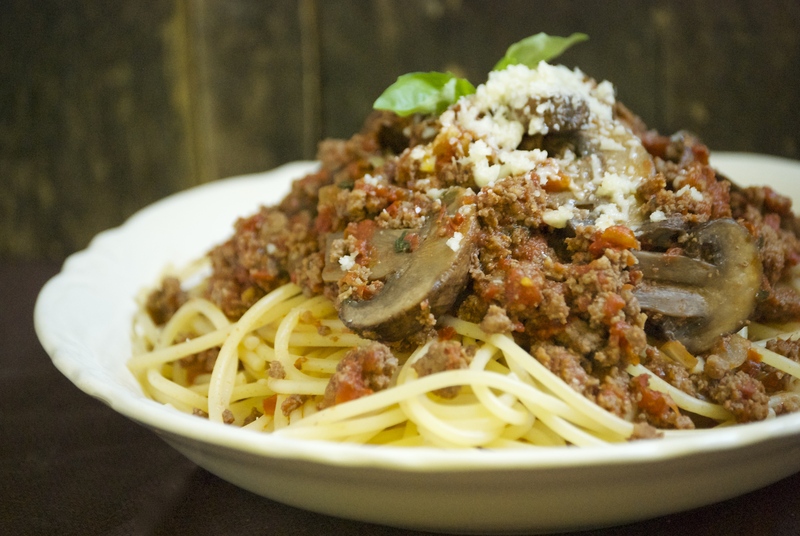 This particular pasta pairs well with slow-cooked meat sauces. They cling to it beautifully. 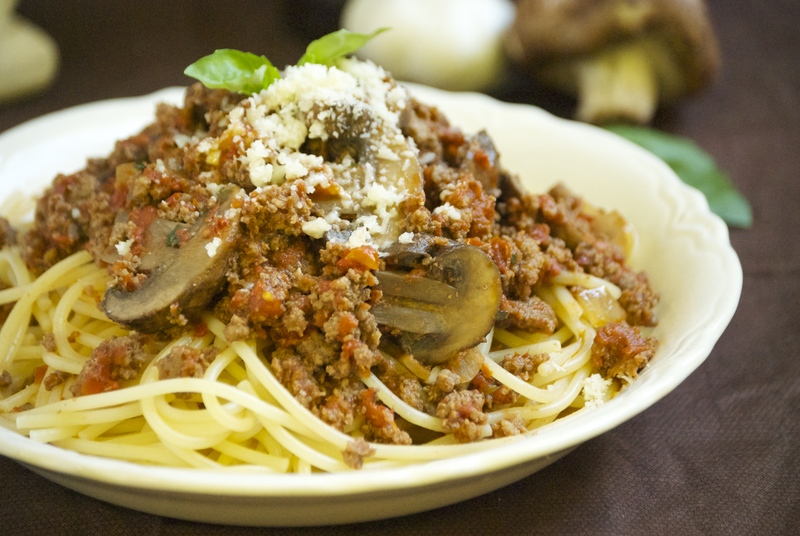 One of my favorites is a bolognese-style sauce. I’ve made several from cook books, but they’ve never been exactly what I was looking for, so I took my own route for this recipe. I’ve discovered that ‘bolognese’ sauces can be quite varied. Some recipes and restaurants use lots of tomatoes, while others rely on them sparingly. Some call for simmering in milk for long periods of time, while others add cream at the end of the cooking process. I created this sauce to fit my own tastes– some tomatoes, yet different from a traditional tomato-based sauce. I slowly simmer it in milk for a few hours to allow the flavors to fully incorporate. Note that there are no herbs in the sauce, so the meat (especially the pancetta) and vegetables are the stars. Fit the regular cutting blade in the bowl of a processor (these batches are too small for the dough blades of most machines). Measure the flour into the bowl; process for a few seconds to blend and aerate. Drop the eggs and egg yolk into a spouted measuring cup , or a bowl; beat briefly with a fork to break them up. Mix in the oil (you should have 7 fluid ounces). To minimize the chance of overheating the dough, use eggs right from the refrigerator. Start the machine running with the feed tube open. Pour the wet mixture into the bowl quickly; scrape all the egg drippings out of the cup into the processor too. Let the machine run for about a half minute. The dough should form quickly; most of it should clump or ball up on the blade – some may spread on the sides of the bowl – where it will twist and knead. Let the machine knead the dough for about 10 seconds (no more than 40 seconds total processing). Turn the dough out onto a very lightly floured surface, and knead by hand for another half minute or so, until it’s smooth, soft and stretchy. Wrap and rest the dough at room temperature for at least a half hour. Store, very well wrapped, in the refrigerator for a day; or a month or more in the freezer. Defrost frozen dough slowly in the refrigerator, and let it return to room temperature before rolling. Defrosted dough will need a bit more flour. I used a manual pasta machine for this. Have your dough at room temperature for rolling. Cut 1 pound of dough into four pieces. Work with one piece and keep the others covered to prevent drying. Have a large tray or baking sheet nearby (or two if you have them) lightly sprinkled with flour, on which to lay thin dough strips. Smooth kitchen towels are also useful as resting surfaces and to seperate layers of strips. Have flour for sprinkling and a knife handy, too. Turn the knob to the widest setting– you’ll work at this setting for awhile. Roll the first dough piece out with a rolling pin into an rectangle so that it’s thin enough for the machine to grab on the widest setting. Roll it through the machine two times. Fold the now elongated rectangle in thirds, and turn the dough 90 degrees (so the fold is on the side, verticle), and roll it through. Catch the dough; fold it and roll it through again with the fold on the side. Repeat the folding and rolling six more times to strengthen and smooth the dough. Like kneading, this will make it more resilient and workable. Lay the first piece down, sprinkle it with a tiny bit of flour on both sides, and cover it (with plastic wrap or a towel). Put the remaining pieces of dough through the same steps of rolling and folding. Reset the rollers to the third setting (I roll pasta at every other setting from wide to narrow). Roll your first strip through, but don’t fold in thirds again. Let the rollers grab and move the dough– don’t push it or pull it through– and catch it with your hand as it comes out. Roll the strip again to stretch and widen it; lay the strip down (on the lightly floured tray) and stretch the others in the same way. Reset the machine even narrower; you should be on the fifth setting by now. If the rollers fail to grab the dough, apply just a dab of water to the tip of the pasta dough. Pass the first strip through once; it will lengthen rapidly, and you will need to catch and support it as it comes through the rollers. Flour the strip lightly if it is sticking to the rollers. After the second pass, if the strip is 20 inches or longer (and it really should be so), cut it crosswise in half, to get two shorter strips of about 10 to 15 inches. Lay these down (not overlapping) and dust with flour; roll and cut the other strips in the same way. You should have eight long strips at this point, each 5 -inches wide (nearly the width of the rollers). I’ve found that this is generally the thickness that I want. 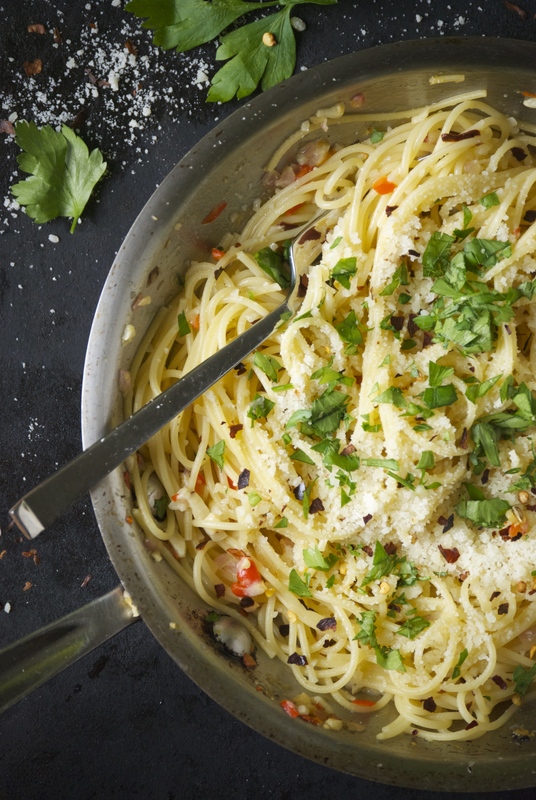 If you have a different pasta maker, and the noodles are 1/8 – inch thick (and the strips are shorter then 12- inches), you should pass them through the next narrow setting. Roll the dough as thin as you like, as long as it doesn’t tear or fall apart. If it does tear, fold the strip in half or thirds (making it shorter and enclosing the tear) and reroll at wider setting. Set the finished strips down, lightly floured and not overlapping, in the big trays. If necessary, cover a layer of strips with a floured kitchen towel, and rest more strips on top. You can cook the pasta as soon as it is cut, or let it sit and dry at room temperature until you are ready, but use them within a day. Lay them out on trays, lightly floured and separated so they don’t stick together. Arrange the pasta into “nests”. Pasta that has been air-dried will take a bit longer to cook. 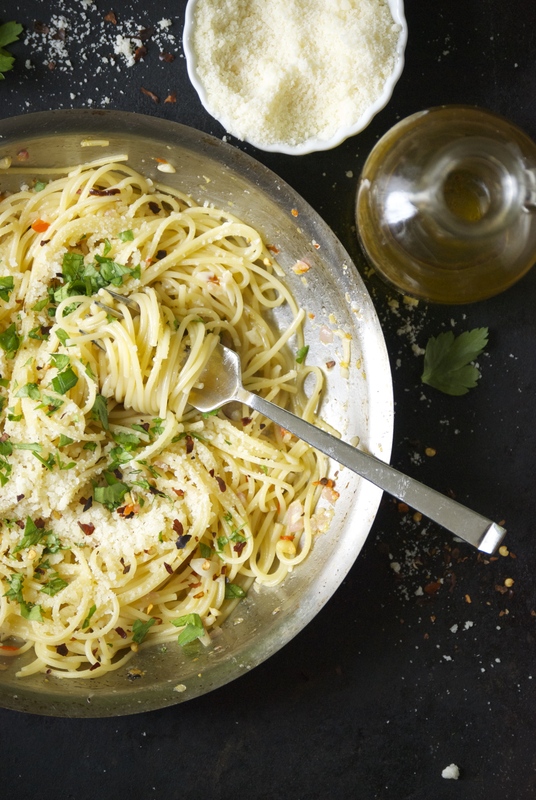 To freeze cut pasta for storage, set the nests on trays that fit into your freezer. After they’re solidly frozen, pack them in small airtight plastic bags or containers. Don’t defrost before cooking; simply drop the pasta into the boiling water. 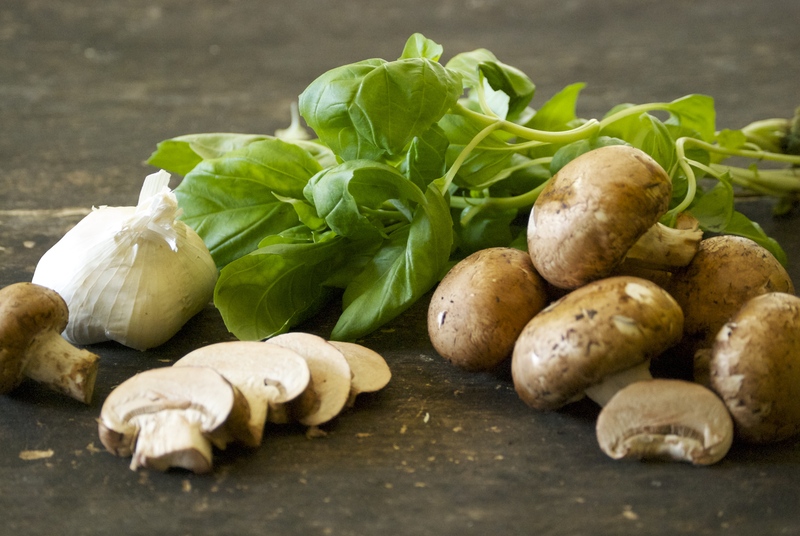 For 1 pound of pasta, bring 6 quarts of water to a full boil and stir in 1 tablespoon kosher or sea salt. The dough has no salt, so it is particularly important that the cooking water be well salted. 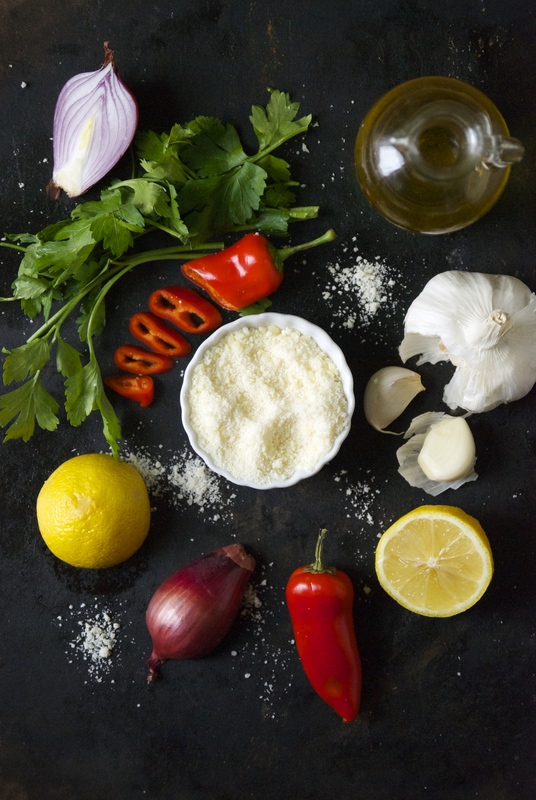 Before adding pasta to the water, shake off any excess flour. 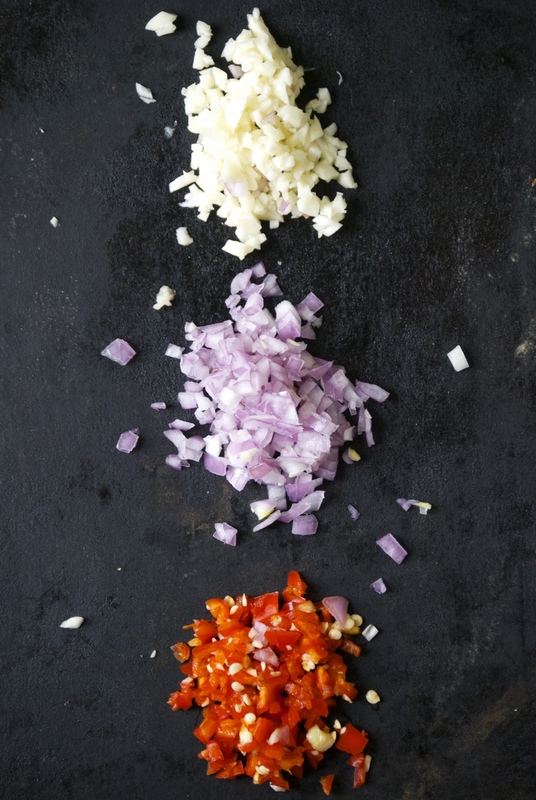 Drop the pasta into the boiling water in several batches, stirring with each addition to separate the pieces. Keep the high heat, but don’t cover the pot. Cook at a boil at least until the pasta rises to the top. It should take 2-3 minutes. 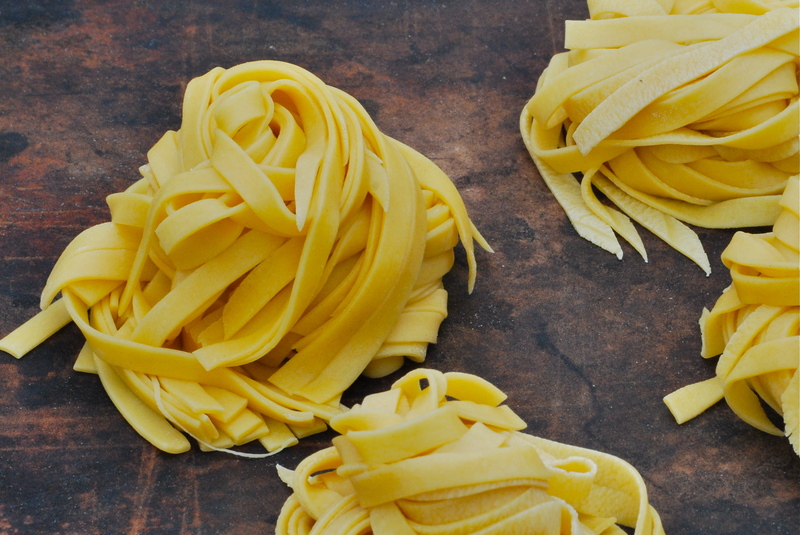 Remember, fresh pasta is not cooked until al dente like dried pastas. Cook them until they are tender and cooked all the way through. 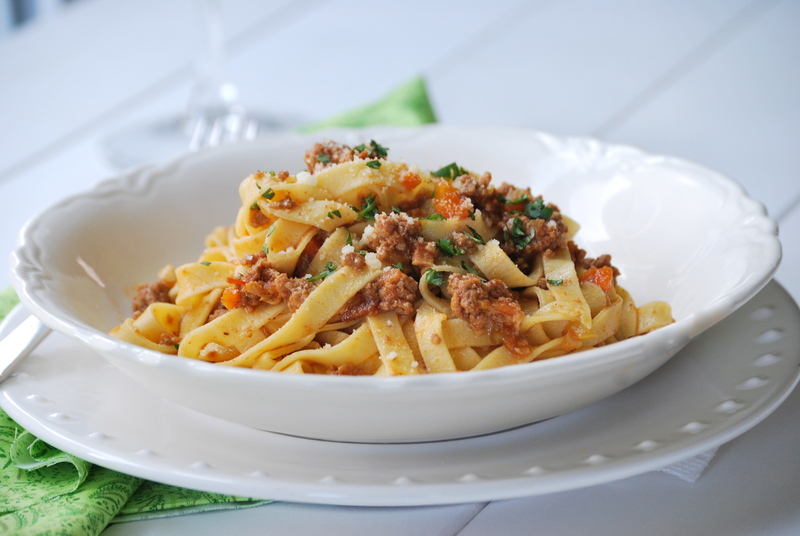 Source: Homemade Tagliatelle adapted from Lidia Matticchio Bastianich’s Lidia’s Family Table. Bolognese recipe is my own. 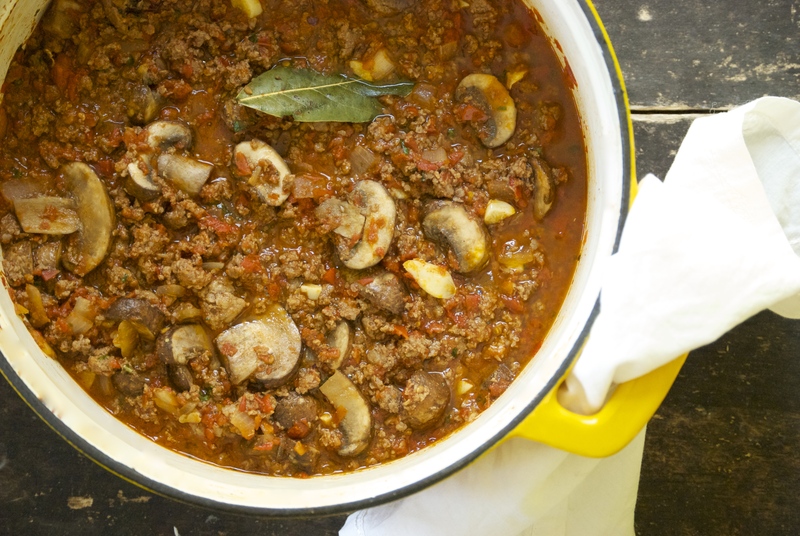 In a large Dutch oven, brown the beef and pork over medium-high heat. Drain and discard the grease and remove the browned meat from the pan. In the same pan, cook the pancetta or bacon until crisp. Remove pancetta from the pan leaving the drippings behind. Sauté the vegetables in the bacon drippings until tender, about 6-7 minutes. Season with salt and cracked pepper. Add the ground beef, pork, and pancetta to the pan. Mix in the vegetables and the tomatoes, tomato paste, milk, bay leaf, and wine. Bring to a boil, then cover and immediately turn down to low for a long, slow simmer for at least 2 hours, but hopefully a bit more. The longer you can simmer this sauce, the better it will taste. 3 hours makes it delicious. Remove cover near the end, if it needs to reduce/thicken a bit more. Adjust salt and pepper if necessary. 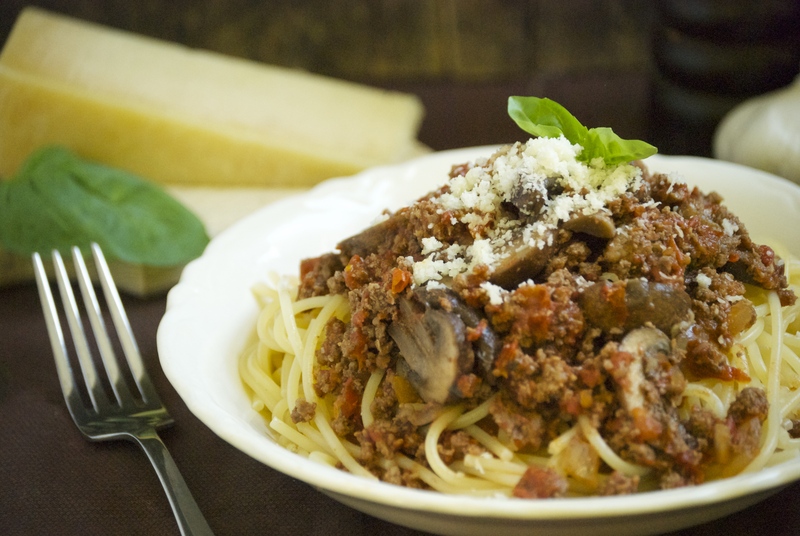 Combine the bolognese and tagliatelle and top with freshly grated parmesan. Serve immediately. Enjoy! Have a fabulous day, everyone! Thanks for stopping by, and as always, I appreciate any feedback.